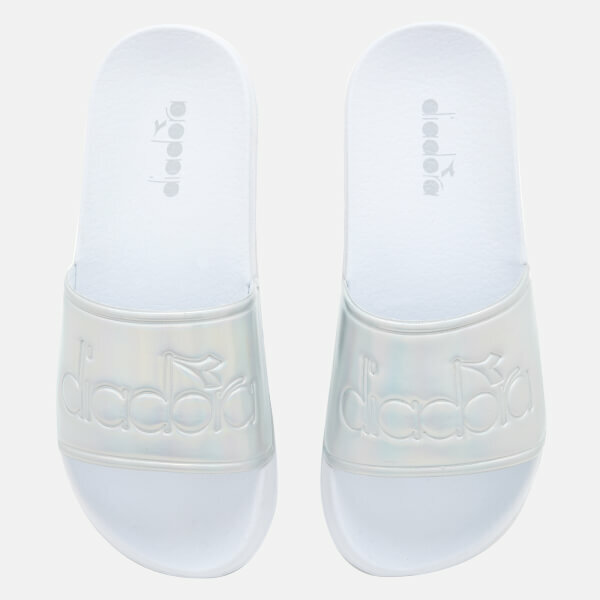 Women's Diadora sliders. 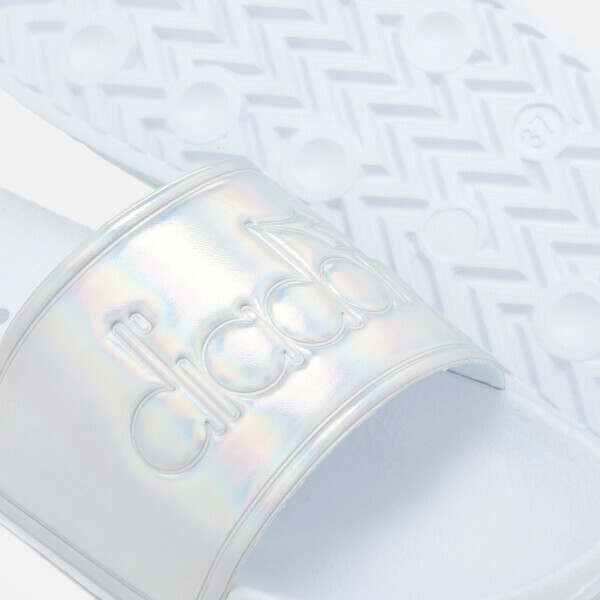 Crafted from lightweight PVC, the 'Serifos '90s' slide sandals feature a bandage-style strap across the foot in iridescent silver with contrast branding. 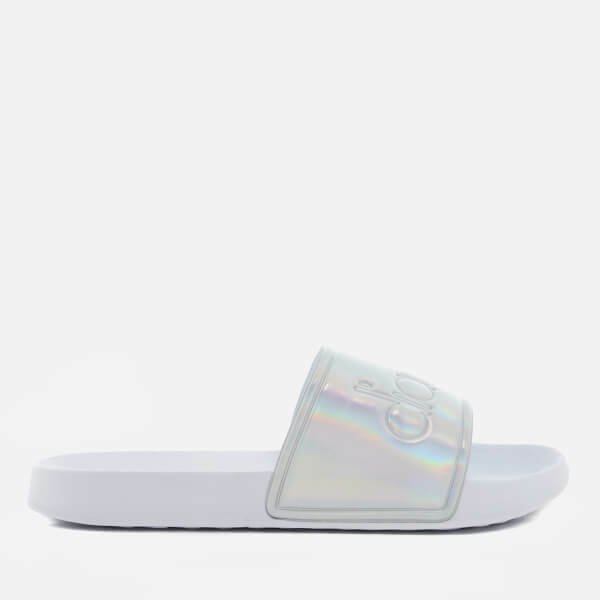 Set upon a moulded footbed for a comfortable stride. Patterned tread for grip.